The top level of football in Bosnia & Herzegovina has been running since 1995 with NK "Bosna" (North), NK "Radnik" (South) wining the inaugural season. NK Travnik and Fudbalski klub Budućnost Banovići are the most successful team having won 3 league titles each. No team from Bosnia have ever won the European Champions League. I'm not too well versed on Bosnian football. In fact I could barely name any of the teams that play there. This almost makes collecting club football shirts from this country that bit more interesting. It's fairly likely that any shirt I own in this section of my collection will be rare, at least in the UK which is something always a side benefit. My three most recent Bosnian shirts that I have added to my collection. 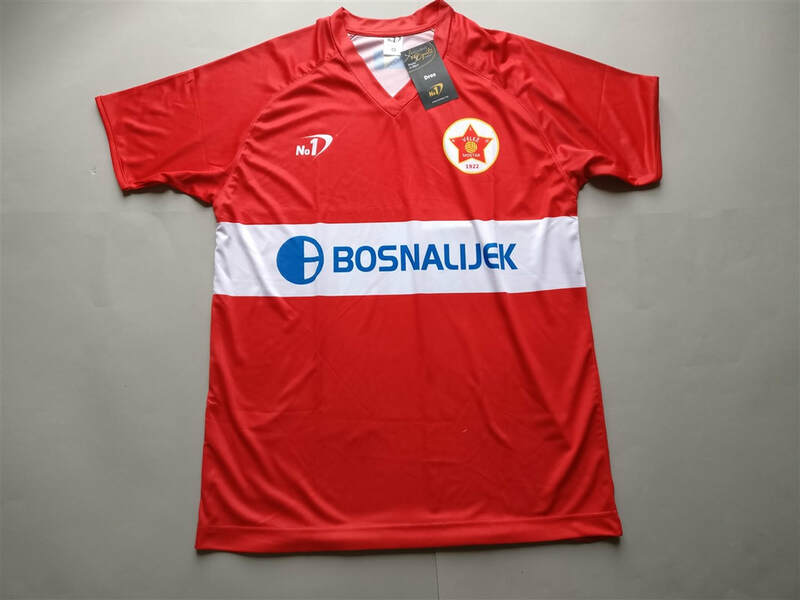 If you are looking to buy a Bosnian club football shirt from an official club store then click the link below and it will take you to a list of clubs to choose from.